Due to the nature of the activities that gamers engage in, they sometimes get unexpected injuries. It could be something as common as a backache or more severe injuries or diseases that not many people know about. To enjoy gaming, it is important to protect yourself. You can keep safe by understanding possible injuries that gamers could suffer from, and doing your best to avoid them. This could be as simple as creating a safe environment with comfortable desks and chairs is important for all gamers. Taking steps to remove distractions caused by painful injuries will help you have more fun when playing. Below are unusual gaming injuries and how to avoid them. Get a spacious desk: A roomy desk that allows you to freely move your wrists over the desk as you are playing a game will protect you from Repetitive Strain Injury. You’ll also be able to keep your wrist straight, avoiding awkward postures for a long time. It’s recommended to use a good l shaped gaming desk or others that come with stands to store gaming equipment so that they don’t clutter the desk. Do not strain your thumb: Most gamers use their thumbs or one finger when playing games. If this is what you do, try to move your whole hand, not just one finger. It is also helpful to use both hands when playing and to lightly press the buttons. Some gamers can experience seizures triggered by certain visual images and patterns in games. Even people with no history of epilepsy, might have an undiagnosed condition leading to photosensitive epileptic seizures. This could result into a variety of symptoms, such as face twitching, altered vision, and lightheadedness. The condition could also cause jerking of arms and convulsions which could lead to falling injuries. If you notice any of these happening to you, quickly stop and seek medical help. Here are ways in which you can prevent photosensitive epileptic seizures from occurring in the first place. Keep some distance from the screen: Sitting a little further from the screen will help you avoid excess flashes of lights and patterns. Using a smaller screen when playing the game will have a similar effect. Play in a properly lit room: It is equally important to play in a properly lit room to avoid sharp contrasts between your environment and the computer. Musculoskeletal disorders (MSD’s) can affect gamers, like they do other regular computer users. The condition is characterized by painful and disabling injuries that interfere with the victim’s ability to engage in everyday activities. Disorders of the tendons, blood vessels and nerves are also fairly common in people who suffer from MSD. 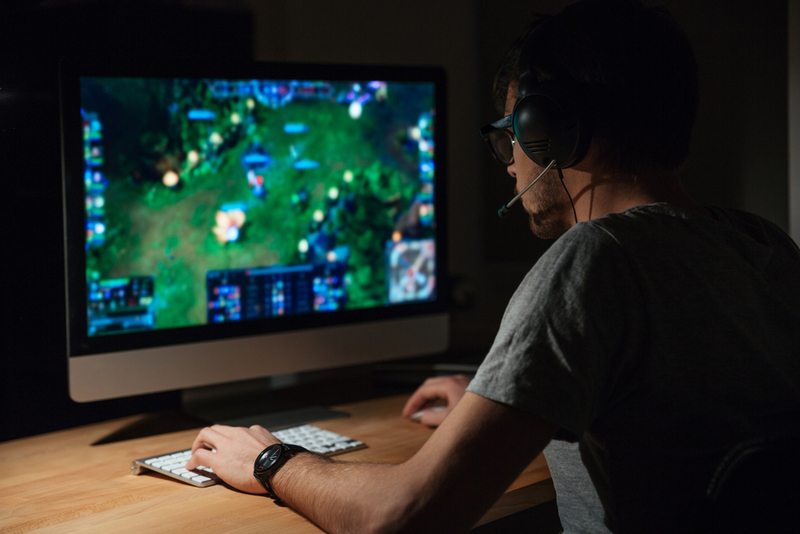 Here is how regular gamers can avoid musculoskeletal disorders. An adjustable desk will help: Using a desk that can be adjusted to different heights will prevent MSD’s. This is because gamers will be able to play when standing or sitting in different postures. It will also prevent strains in larger body muscles. Mind your sitting: Folding your limbs for a longer duration of time is not only uncomfortable, but could also result into MSDs. When engaged in gaming, ensure that your legs are in a natural position that will allow proper blood circulation. To make this possible, move any items that might be under your desk and place seating furniture in an area that has a lot of free space. While gamers are exposed to multiple injuries, this should not stop you from engaging in your favourite activity. Healthy practices will go a long way toward ensuring that your body isn’t easily injured. This includes getting enough rest and engaging in adequate exercises to increase muscle and bone flexibility. Eating the right foods and managing stress will also help you avoid injuries. After all, a variety of factors contribute to injury, not just gaming for long durations.